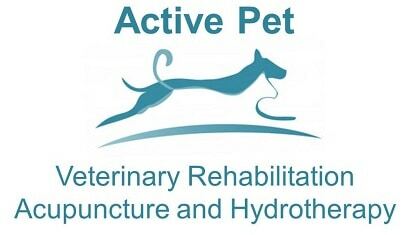 Welcome to Active Pet, one of only a handful of veterinary clinics in the UK focusing solely on animal physiotherapy, pain management and hydrotherapy for dogs, cats, rabbits and other small animals. I set up the clinic in 2013 to provide veterinary rehabilitation, acupuncture and hydrotherapy to pets in and around the Chiltern villages of Amersham, Beaconsfield, the Chalfonts, Gerrards Cross and High Wycombe. However the clinic has grown from strength to strength and now sees clients from as far away as London, Cambridge, Watford and Reading. I grew up with dogs, cats and horses and had wanted to become a Veterinary Surgeon from about 12 years old. I struggled during my veterinary training with a sore back due to having a scoliosis (curved spine). I spent quite a bit of time having physiotherapy myself as a student. One of the physiotherapists asked me if I would be happy if they treated me with acupuncture and I agreed. I was very sceptical to start with but to be honest I think that I would have tried anything to get rid of the pain; I don’t think that there was much of me that didn’t hurt at that point! I felt immediate relief, which lasted for several weeks and so I researched more about whether acupuncture could be used to treat animals. 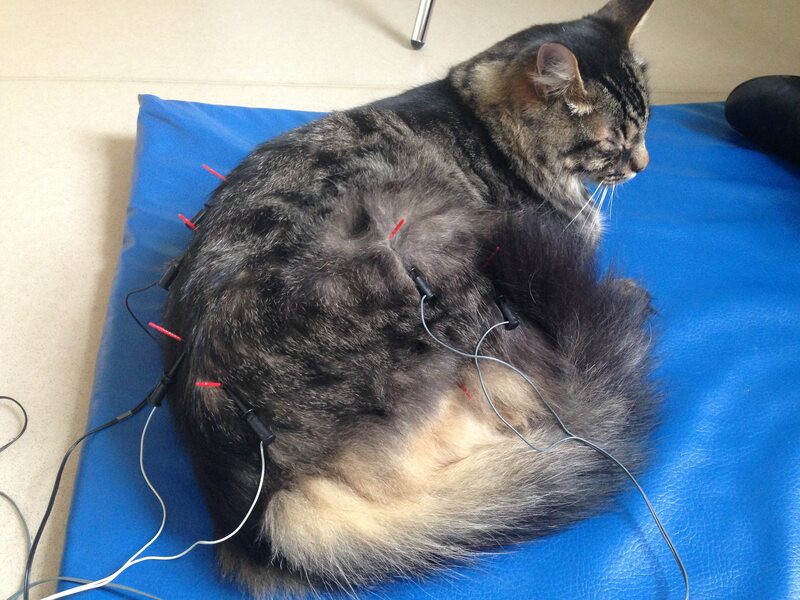 As soon as I had qualified as a Veterinary Surgeon I enrolled on the veterinary acupuncture foundation course. A year later I did further training in electroacupuncture so that I could use all types of acupuncture to help my canine and feline patients. I have gone on to do further training and am now one of only a handful of Veterinary Surgeons to have gained the GP Certificate in Western Veterinary Acupuncture and Chronic Pain Management. 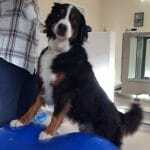 I also became interested in how to use medication to help with acute and chronic pain in pets. Unfortunately I suffered myself with neuropathic pain, which luckily resolved after a course of medication. Although acupuncture and medication took away the pain, they did not address the cause of it, which was my scoliosis. My scoliosis caused changes to my posture so that some muscles I overused causing pain and others I underused so they became very weak. It was a realisation that to help address my back problem I needed to address my postural changes and to improve my muscle strength that led me down the route of thinking that the same occurs with our pets. Of course the first thing we have to treat is pain but unless we also address the postural changes and help our pets to walk and move correctly then they will always suffer with secondary problems as a result. Secondary changes and pain occur whether our pets have osteoarthritis, neurological or orthopaedic problems. My training on the University of Tennessee’s Certified Canine Rehabilitation Program and postgraduate training in acupuncture and chronic pain management has enabled me to diagnose and treat these problems. To practise as a Vet, I have to be a member of the Royal College of Veterinary Surgeons. This allows me to advise on medications as well as understand what other conditions your pet may have and how this may impact upon their rehabilitation program. I love learning and a lot of further study to ensure that your pet only gets the most up-to-date treatments and advice. I am a member of the Association of British Veterinary Acupuncturists (ABVA) and also the British Veterinary Rehabilitation and Sports Medicine Association (BVRSMA). This combined with all the equipment and treatments we offer at the clinic enable me to help put the spring back in your pet’s step and help them be the best they can. 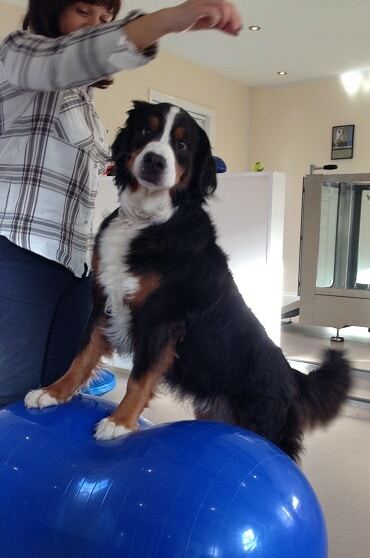 Whether your pet has had an injury, is getting older or you would like a fitness program for them, myself and my team promise to provide a caring service, tailored to your pet’s individual needs that enables them to enjoy life to the full.